Newcastle Journey to Justice member Keith Hodgson pays tribute to Archie Sibeko, who has died aged 90 in the North East of England. Archie was a remarkable man; a South African trade union leader and a major figure in the struggle against apartheid. Journey to Justice Newcastle is supporting a collective of events called ‘The Women’s 100: a century of women’s activism in Newcastle’ taking place from 8th February – 6th March 2018. The events celebrate the centenary of The Representation of the People Act which began the process of women’s suffrage. This discussion aims to encourage women and men of all ages and backgrounds through the journeys of three high profile women. Uduak Archibong MBE is Professor of Diversity at the University of Bradford where she directs the Centre for Inclusion and Diversity and provides strategic oversight for equality, diversity and inclusion across the institution. 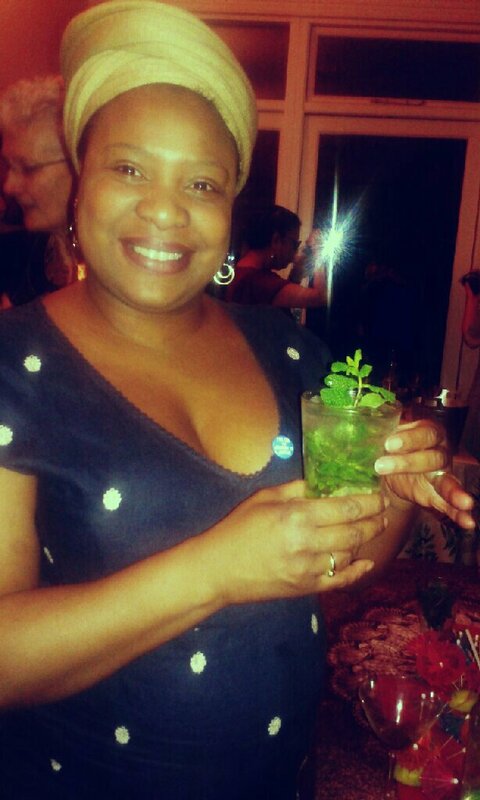 Uduak has been recognised by the British Government and the Queen for her services to Higher Education and Equality. She was awarded MBE [Member of the Order of the British Empire] in the 2015 Queen’s New Year’s Honours List. Penny Marshall is the Northeast Regional Director for the Institution of Civil Engineers (ICE). Penny, a Civil Engineering graduate, spent a brief period as a high school mathematics teacher before embarking on her engineering career, working in both design and site roles with a number of North East local authorities. She later moved to what was then the Department of Transport Northern Regional Office and spent almost 20 years in the civil service. Cris McCurley is head of International Family Law and a Partner of Ben Hoare Bell LLP (Solicitors.) Cris has specialist knowledge of Gender Equality , Domestic Violence, Honour Based Violence (H.B.V. ), Forced Marriage (F.M. ), abduction, trafficking, FGM and 21st century slavery. A multi-award winner, Cris chaired a UN Special Rapporteur for VAW (Violence Against Women) in 2014. Our event will take place at the prestigious Mining Institute in Newcastle upon Tyne on 26th February 2018, Westgate Road, NE1 1SE with networking from 5:30pm and prompt start at 6pm. If you would like to reserve a place please contact Mrs Ashleigh King at Ashleigh.king@ncl.ac.uk. 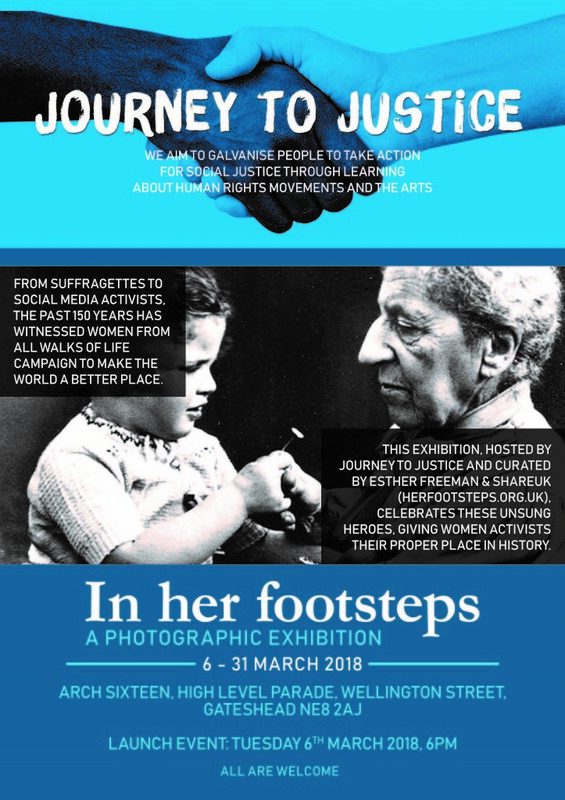 Journey to Justice is hosting an exhibition curated by Esther Freeman and SHAREUK (herfootsteps.org.uk) and celebrates 150 years of women from all walks of life who have campaigned to make the world a better place. 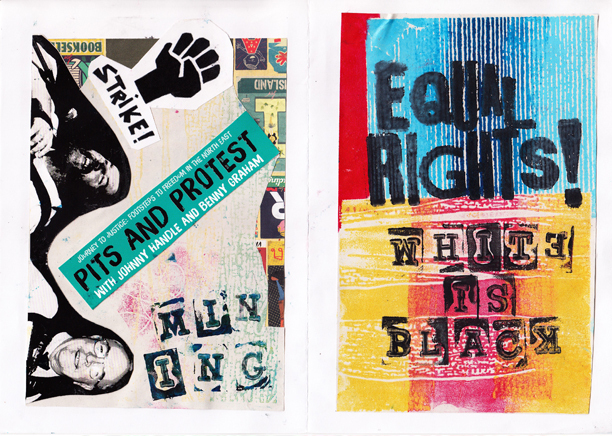 This empowering exhibition celebrates all these unsung heroes and activists giving them their proper place in history. The exhibition launch will be held on 6th March 2018, 5.30pm and will be on display thereafter until 31st March 2018 at Arch Sixteen, High Level Parade, Wellington Street, Gateshead NE8 2AJ. 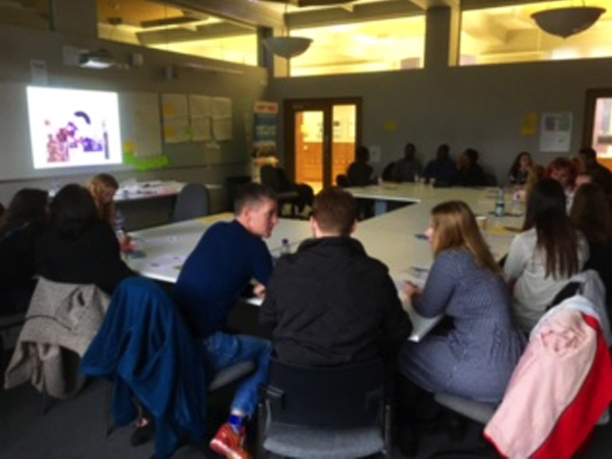 Following really positive feedback to JtoJ Newcastle team’s successful workshop at the IDC conference in 2016 we were invited to run another this year by Kay Hattam, Campaigns and Democracy Support Worker at the Students’ Union and Libby Blythe, conference organiser. 2017 is the 50th anniversary of Martin Luther King Jr’s honorary degree and visit to Newcastle. Newcastle University is part of a city-wide programme, Freedom City 2017, to commemorate the visit and the Students’ Union, led by the International Development Society, hosted a conference to demonstrate why the issues raised in Dr King’s speech fifty years ago are still relevant today. There was a mix of workshops, a panel and speakers including Dr Kehinde Andrews; Professor David Bailin ; Dr Silvia Pasquetti; Muzoon al-Mellehan and Dr Megan Armstrong with Chi Onwurah MP providing an opening welcome. The aim was to create a forum to address contemporary issues in development, challenge perceptions, stimulate debate and facilitate reflection in the context of the EU referendum and Donald Trump’s election. 23 students attended the lively workshop. Keith introduced them to the work of JtoJ and our 2015 pilot in Newcastle. He asked them for additions to MLK’s speech about war, poverty and racism and participants identified social justice issues they feel strongly about. They said: Climate change; Globalisation; Refugees – mentioned by many; Migration – global and long term issue; Corruption; Girls’ education; Disability rights; Mental health issues; Inequality; Environmental protection; Exploitation of workers by multinational corporations; Youth unemployment; Patriarchy; Xenophobia; LGBT issues; Healthcare concerns; Human trafficking; Arms trade; Child labour; Mass incarceration in various countries; Education; Economic inequality. 1. 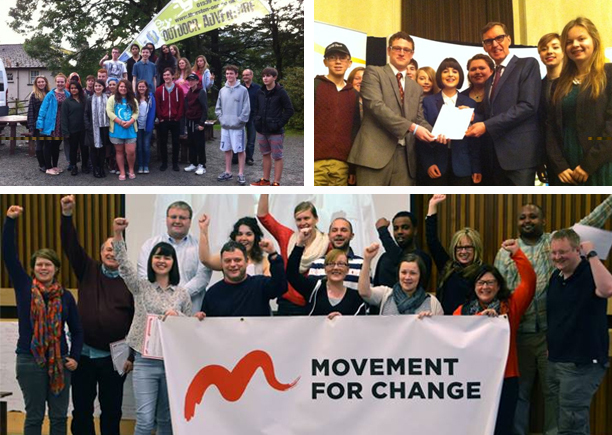 Political education especially with children using humour – youth engagement. 2. Education in prisons using You Tube to tell their stories. 3. Developing a “global village campaign” to highlight refugee issue. 4. Mental health – raising the issue using street theatre to educate others. 5. Climate change – getting young people to make short film clips using their videos. Theresa Easton: printmaker and Chair of Artists Union England led young JtoJ volunteers and members of Children North East through a zine-making workshop as part of our pilot programme. The 20 attendees split into buzz groups to discuss topics they felt were important to them. This was crucial, as it demonstrates how Journey to Justice listens to its members, invites their opinion and takes all of us seriously. To resort to cliche, too many organisations “talk the talk”, but Journey to Justice ” walks the walk”. Subjects were diverse – BME rights, women’s rights, ageing well, health and wellbeing, welfare rights. This reflects the breadth of contributors’ interests; as discussion deepened, it became increasingly evident how engaged people were with each other. Those who gathered were giving up a summer Sunday afternoon, so all were committed to the cause of social justice. However, discussions were not solemn, and were enlivened by much laughter and good humour. We agreed to forge partnerships with like-minded organisations, for instance, the local Amnesty International branch, feeling that there is strength in solidarity. We appreciated the opportunity to make a difference, to be part of a grassroots organisation and to work as a group, while still having our individual voices heard. Journey to Justice: the exhibition A stunning new exhibition about the US civil rights movement, the UK and Tyneside’s struggles for social justice. Visit our dynamic multi-media exhibition with its photographs, music, poetry, art, audio-visual, interactive features and installations. Using a series of ‘bus stops’, we focus on the stories of some of the less well-known men, women and children involved in the movement, people of all ages and ethnicities, whose voices are not often heard but without whom it would not have happened – people like us. We show how the movement had a significant impact on the UK and we highlight examples of local people challenging injustice. See also Volunteer Centre Newcastle Please let us know of other organisations. Discovery Museum, 1.30pm: ribbon cutting by Marcia Saunders, former US civil rights worker followed by 2-4pm in the Great Hall: music, history, social change. Guest speaker: Archie Sibeko, ANC activist, trade unionist and freedom fighter; Chi Onwurah MP; Space2; Keith Hodgson; Children North East; Prof. Brian Ward, Northumbria University; NESS and Kingsmeadow Community Choirs; Parul Motin reading poetry; Benny Graham and Johnny Handle with songs of the North East; Bethany Elen Coyle – Compere. Marcia Saunders who will cut our exhibition ribbon, grew up in Cambridge, Massachusetts in a politically active family – her father in trade union matters, her mother a German refugee from the Nazis. As a young student she took part in the Freedom Summer as a voter registration worker in Fayette County, Tennessee. She came to England as a postgraduate student, stayed and built a long career in public services – education, social services and the NHS. She is currently independent Chair of Health Education North West London and a member of the Board of Governors of De Montfort University in Leicester, where she is also pro-Chancellor. Marcia has dual UK and USA nationality. Archie Sibeko Railwayman and trade unionist, treason trialist, Communist activist and founder member of the South African Congress of Trade Unions, Archie Sibeko is better known to many as Zola Zembe (“ZZ”), his nom de guerre. After his service in Umkhonto we Sizwe, the ANC Liberation Army, Archie was redeployed to international solidarity work. From London he travelled all over the western world, winning the support of working people and their unions for the struggle against apartheid. Based at Kingsmeadow School, Dunston, Gateshead, the choir explores and arranges repertoire from around the world incorporating percussion and instrumentation and explore their own composition and improvisation. KCC have contributed their voices as part of the Journey to Justice exhibition. Musicians from the Crossings project, a charity that provides a range of music activities for asylum seekers, refugees, migrants and local musicians, will perform an original song about the people who inspired them to justice. Established in 2014 and based at the Mining Institute, Newcastle, NESS are an independent community choir of conscience, campaigning for social justice, political reform and positive change. 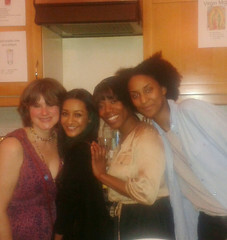 NESS also contributed their voices as part of the Journey to Justice exhibition. March – April Heritage Lottery Funded local history projects about Martin Luther King’s historic visit to Newcastle in 1967 and Tyneside’s tradition of struggles for social justice. Curiosity Creative with an intergenerational group from Space 2 and Westgate Past. You can hear their oral history interviews and see a display of their work at Discovery Museum as part of the Journey to Justice travelling exhibition. Teacher Gaynor Walker asked children from Years 7 and 8 at Corbridge Middle to think about the meaning of justice and what they understand by human rights. They discussed events that are current or from the past where they think justice was done or recognize there was a fight for justice and were asked to respond by producing a drawing or painting in a medium of their choice. April 9 and 10 Community organising, negotiating and strategy. A course for young people at Children North East, Benwell including history, arts and social change. Experienced trainers from Movement for Change and Journey to Justice will lead participants through two days of discussion and activities. Plus a session by Celina Dunlop on memorabilia of the civil rights movement. Thanks to Celina Dunlop, Photo Editor at The Economist, the group will have an opportunity to handle historical objects. Seeing contemporary artifacts takes history off the page of a textbook and makes it real. This collection provides students with a unique opportunity to get in touch with the past. It includes a set of 1930s Ku Klux Klan robes, Klan documents and association badges and copies of LIFE and JET magazines breaking the news of momentous events in the Civil Rights Movement through astonishing photojournalism. Equip people to take practical action for social justice, encompassing an intergenerational approach and build networks of people working for social justice and human rights. The Northern TUC biennial conference April 11 (9-5) and 12th (9-1) at the Hilton Newcastle Gateshead: look out for the Journey to Justice stall amongst others. How does a mine work? How does coal get from face to fireside? What was life like in a Victorian pit village? We will be singing songs inspired by the miners’ lives. Songs of the North East and its history inspired by the lives of those who provided coal and the great wealth it brought. Often won with great hardship and protest from the workers who left their story in rhyme and song. Johnny Handle is revered as an international authority on North East heritage; music, song and oral history. Mike Harding referred to him as the “missionary of the Geordie speaking peoples”. A career spanning 60 years has included stints as a coal mine surveyor and teacher. He has released nearly 40 solo albums and appeared on many more… and did you know he taught The Animals ‘House of the Rising Sun’? Community organising and citizenship education. At Newcastle University. With Jack Madden, a Community Organiser at Movement for Change. Jack has developed leaders across the country and helped them build powerful local alliances and run campaigns that have won change on a variety of issues – developing rural transport services, improving job centre services for job seekers, and taking on problems in the private rented housing market. Participants will enjoy a variety of activities focused on: building power to act collectively for common good; negotiation & learning about strategy. With Michael McIntyre, Senior Programme Co-ordinator, UK Facing History and Ourselves. Michael is an experienced teacher/trainer. He delivers courses which engage students of diverse backgrounds in an examination of racism, prejudice, and antisemitism in order to promote the development of a more humane and informed citizenry. 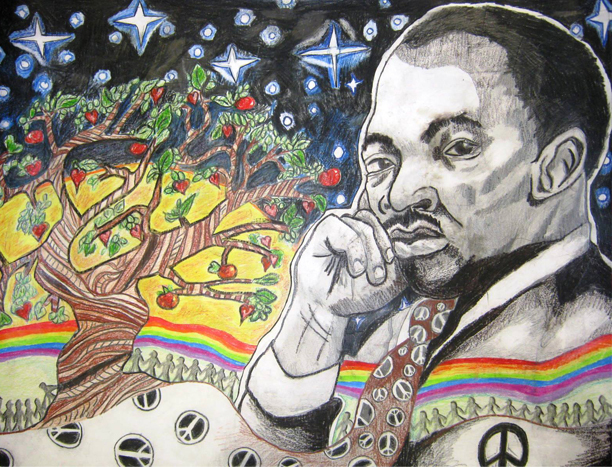 By studying the historical development of the Holocaust and other examples of genocide and mass violence such as the US Civil Rights Movement, students make the essential connection between history and the moral choices they confront in their own lives. Participants will enjoy learning Facing History’s interactive approach to aspects of US Civil Rights history, learning particularly about how non-violent methods helped achieve political and social change. www.facinghistory.org Free resources & follow-up support. Cost: £50 for Day One. Day Two is free of charge, both days include lunch. Participants are welcome to book for one or two days. 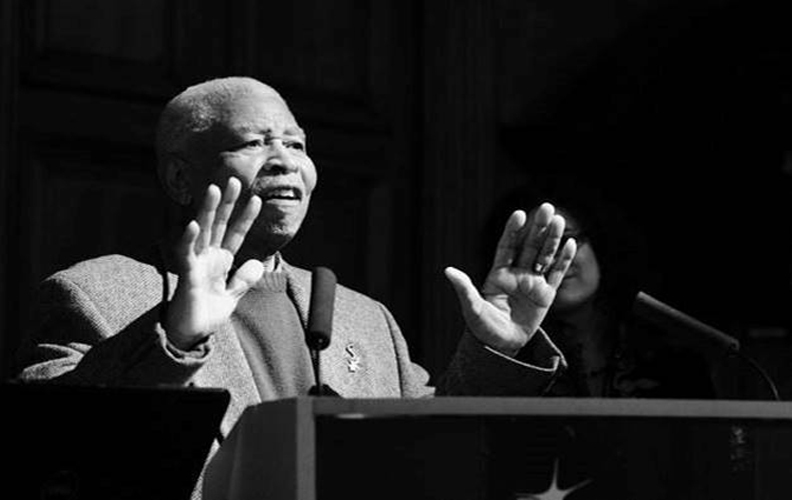 The Free Southern Theatre pioneered a union of civil rights activism and political theatre in 1964, during one of the pivotal campaigns of the African American civil rights movement, the Mississippi ‘Freedom Summer.’ This talk explores the FST’s understanding of the role of theatre in the struggle for racial equality in the United States. Which former Newcastle M.P. who did much to build working-class networks across our region would probably now be in prison on anti-terrorism charges because of his links with radicals in Europe at the time? In which genteel surroundings did suffragettes plan actions such as the bombing of Kenton railway station? Where in Newcastle City Centre did hundreds meet to campaign against slavery – and where did tens of thousands meet to protest against the Peterloo Massacre? Who was the Newcastle-born prisoner of conscience during the years of the Napoleonic Wars? And where in Newcastle is a portrait of Aung San Suu Kyi and other fabulous human rights themed portraits? Experimental documentary looking at the day Mohammad Ali came to Tyneside in 1977 and the effect this event had on the young Yemeni-British men who attended the mosque. The film examines their emerging Arab/British identity and briefly introduces this historic community. How do you cope with being convicted of a crime you know you did not commit? What happens when you are condemned to death row and spend over 18 or 30 (sometimes many more) years of your life locked away? Almost 300 people have been released from death row after tests showed they had been wrongfully convicted. Through a lyrical and intensely emotional film made in collaboration with Resurrection After Exoneration in New Orleans, Gharavi weaves a variety of narratives to understand a complex issue. Brian Ward, Professor in American Studies, Northumbria University. With songs by Bethany Elen Coyle, community musician. Civil rights historian Brian Ward will discuss the circumstances surrounding Martin Luther King’s historic visit to Newcastle in 1967 and its legacy in the North East. He will explain how he unearthed long-lost footage of the remarkable impromptu speech that King gave when he received an honorary degree from Newcastle University and put the visit and speech in the context of King’s career. And we will show the award winning A King’s Speech documentary produced by BBC North which brought to light many local people who were present in 1967 when King came to Newcastle. The event, which includes a wine reception, will feature screenings of both King’s speech and the BBC documentary and a Q&A session. 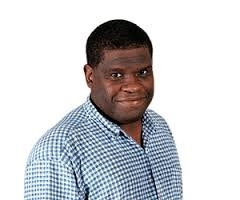 Brian Ward is Professor in American Studies at Northumbria University, having previously taught at the Universities of Manchester, Florida, and Newcastle upon Tyne. Internationally acclaimed as a leading scholar of the US South, popular music, and the civil rights movement, he has published seven books and numerous articles. His major works include Just My Soul Responding: Rhythm and Blues, Black Consciousness and Race Relations which won several awards, including the Organization of American Historians’ James A. Rawley prize for the best book on the history of US race relations, and which was selected by The Guardian in 2013 as one of the best ten books ever written on the civil rights movement; Radio and the Struggle for Civil Rights in the South; and The Making of Martin Luther King and the Civil Rights Movement. His most recent book is The American South and the Atlantic World. Brian is currently working on three book projects, the first concerns A&R (Artists and Repertoire) men in the early US recording industry; the second examines connections between the American South and the world of British popular music from the mid-nineteenth century to the present day; the third looks at the Beatles and the US South. 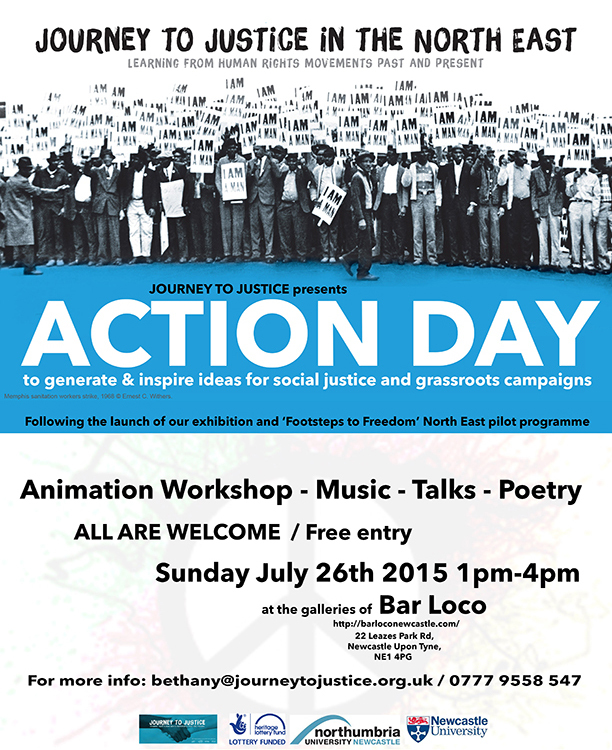 With thanks to everyone who bought tickets for the Journey to Justice ‘Selma’ event. Room 6 Brunswick Methodist Church, NE1 7BJ. Join us for a pre-election debate over a light lunch about key elements for a Good Society in the North East and how to achieve it. Income equality gap, a fair economy, no-one without a home etc. We will decide collectively what to do with the information gathered e.g. send it to a local MP, publish it? (Bus routes No. 1, 30 and 31) www.riversidechp.co.uk £4.00 on the door. 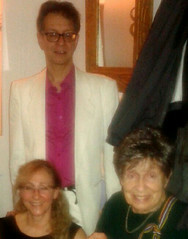 BROTHER OUTSIDER, produced by Nancy Kates/Bennett Singer. Their film has introduced millions of viewers around the world to the life and work of Bayard Rustin — a visionary strategist and activist who has been called “the unknown hero” of the civil rights movement. A disciple of Gandhi, a mentor to Martin Luther King Jr., and the architect of the 1963 March on Washington, Rustin dared to live as an openly gay man during the fiercely homophobic 1940s, 1950s and 1960s. He loved the UK and advised peace and anti-racist campaigns here. And he sang with Paul Robeson on Broadway. BAYARD RUSTIN RECEIVES THE PRESIDENTIAL MEDAL OF FREEDOM! On November 20, 2013, Barack Obama bestowed a posthumous Presidential Medal of Freedom — the nation’s highest civilian honour — on Bayard Rustin. Walter Naegle, Rustin’s surviving life partner, accepted the award. Rustin was one of 16 Americans honored at this ceremony. With huge thanks to all our funders and supporters, volunteers and work placement students in the North East. We are thrilled to be running the first pilot of Journey to Justice here with you. We need a few more volunteers to help at our events and we welcome people with skills in: social media, administration; events management; fundraising and research and more.